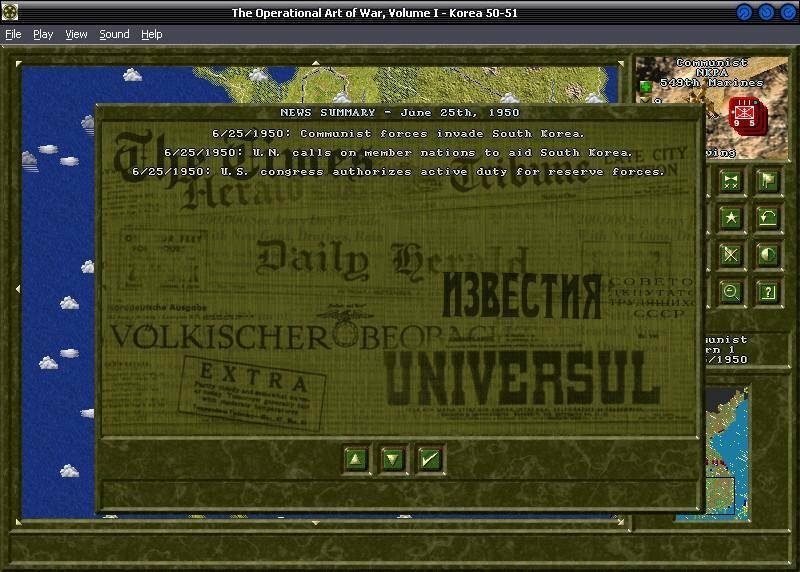 Norm Koger’s The Operational Art of War, Vol I: 1939-1955 , is a die-hard wargamer’s delight. 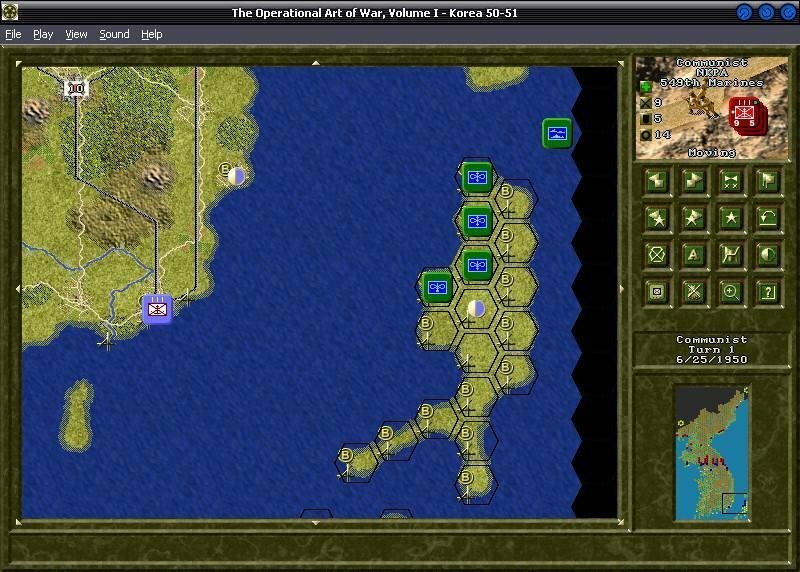 It’s not for everyone – he has crafted a wargame that leans towards complexity while skimping on graphics. Considering the depth and magnitude of the simulation, however, this is a minor point. Focused at the operational level of war, which is between strategy (the use of national power to obtain long term goals) and tactics (the maneuver of units on the battlefield), it examines the linking of engagements into battles to accomplish strategic goals. 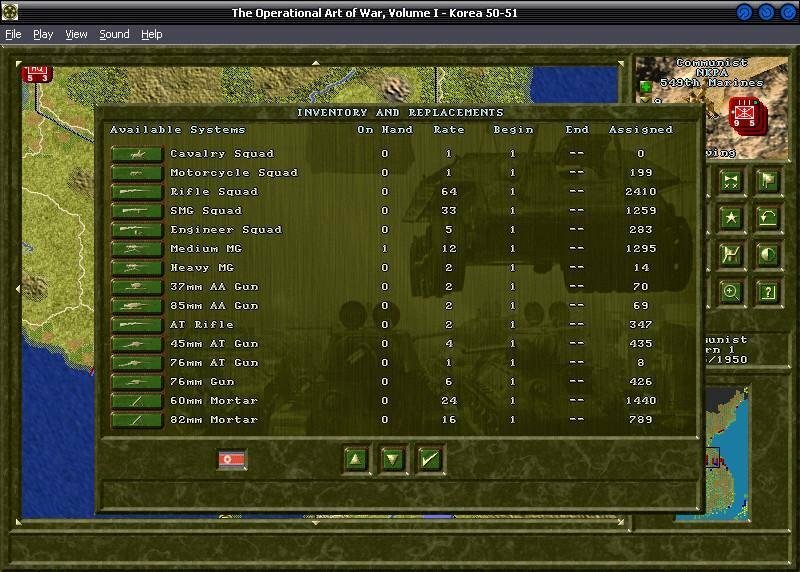 Perhaps learning from the lessons of their East Front experience, publisher TalonSoft includes a detailed manual with the game, one with complete unit listings by type and values. The section on the editor sports formulas for determining such things as permitted equipment density, overstacking penalties, and combat strength determination. A step-by-step tutorial is also included, for those who like to boot up and go. 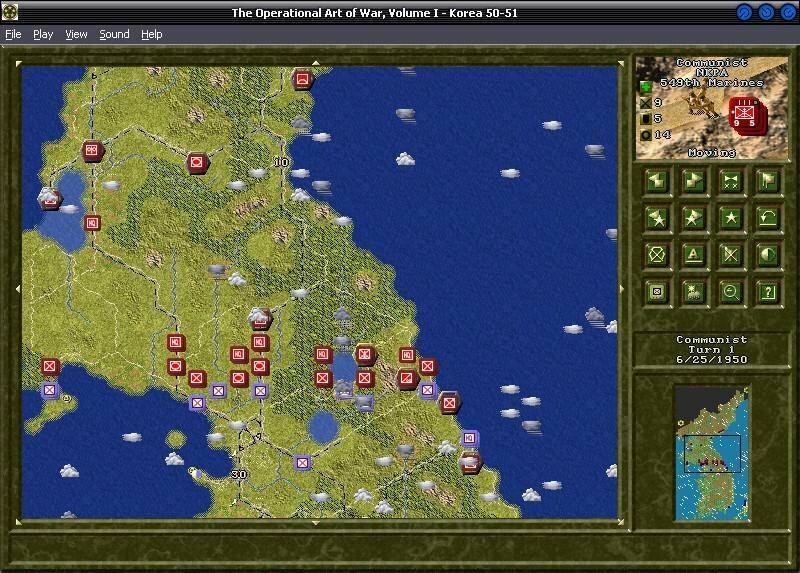 The game does an excellent job at capturing the feel of operational warfare during the middle of the century. This combination of game mechanics permits you to tackle many of the operational commander’s problems. For example, you must deal with the realm of uncertainty: what is the morale and staying power of your forces, how many supplies and reinforcements are available, what will the enemy do, and who will strike first? 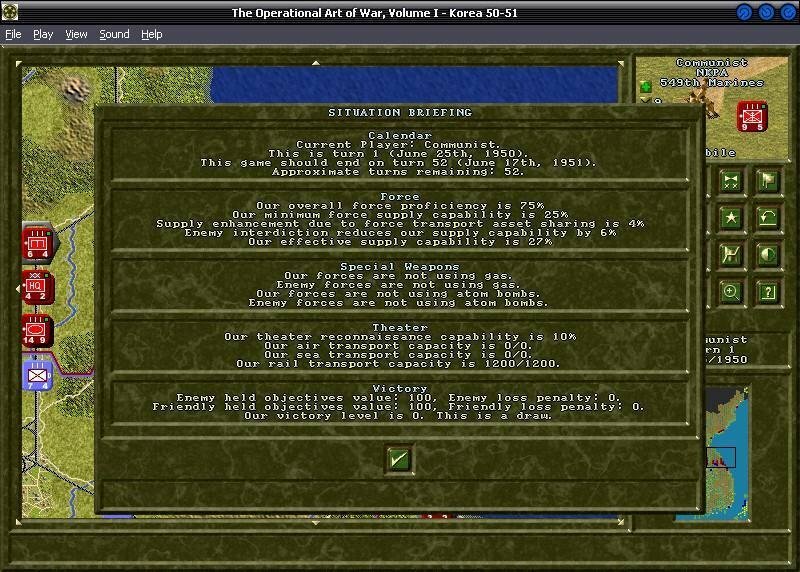 You must also decide on allocation of reserves, reinforcements, and air and naval power to influence the battlefield. Once these decisions are made, objectives and engagements must be linked to the overall plan, which will face violent opposition from the enemy. 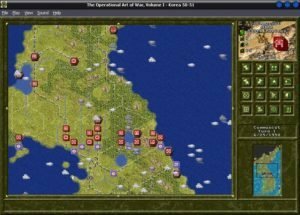 This requirement to balance immediate needs against important future possibilities while maintaining a flexible execution plan in the face of a determined enemy makes this title an evolutionary improvement the state of computer wargaming.